Warning: spoilers for Netflix’s Triple Frontier are in play. If you haven’t seen the film yet, and want to remain unspoiled, bookmark this page and come back later. 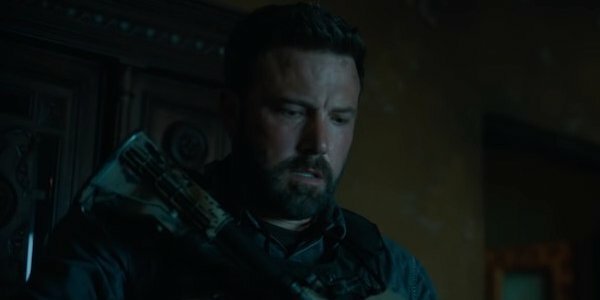 Killing off any random character that wasn’t Ben Affleck might have worked in Triple Frontier. Doubly so, considering that by time Affleck’s lead is killed while defending his friends in a mountain range fire fight, it really felt like the whole team would be walking away from this caper with their lives. But even in the movies, when it’s your time to go, it’s time to go. As mentioned before, Tom’s death is the consequence of his cold blooded murder of South American farmers trying to claim some of the money stolen in Triple Frontier as their own. If it wasn’t for that particular incident, Ben Affleck’s character wouldn’t have been hunted down by one of the farmer’s sons, and he would have lived happily ever after. Or as happily as he could have with $ 5 million. But who was originally supposed to die? While J.C. Chandor isn’t divulging which Triple Frontier character was originally on the chopping block, the smart money would be on either Garrett Hedlund’s Ben or Charlie Hunnam’s William originally taking the big dirt nap. With one being shot during the actual robbery, and the other going out of their way to protect their brother, the process of elimination helps narrow it down to those two characters. And comparatively, they could be considered characters secondary to Affleck’s Tom or Oscar Isaac’s Santiago. This only makes the effect of this big rewrite all the more impressive. The finished film doesn’t feel like it has just two “star” team members and three “secondary” characters. Rather, the entire team of Triple Frontier is important in their own individual ways. So no matter died, it would have stung. But the fact that it was Ben Affleck is even more shocking, as it violates the conventional wisdom that a star of his stature always makes it to the end. A decision to which we, as movie fans, must say bravo.